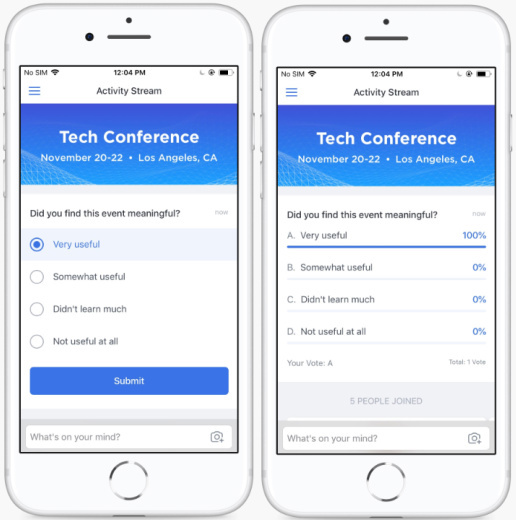 Polls are an excellent feature to use at your event to boost attendee engagement, gather feedback, and facilitate those important speaker-attendee interactions, helping making your event to feel much more connected. 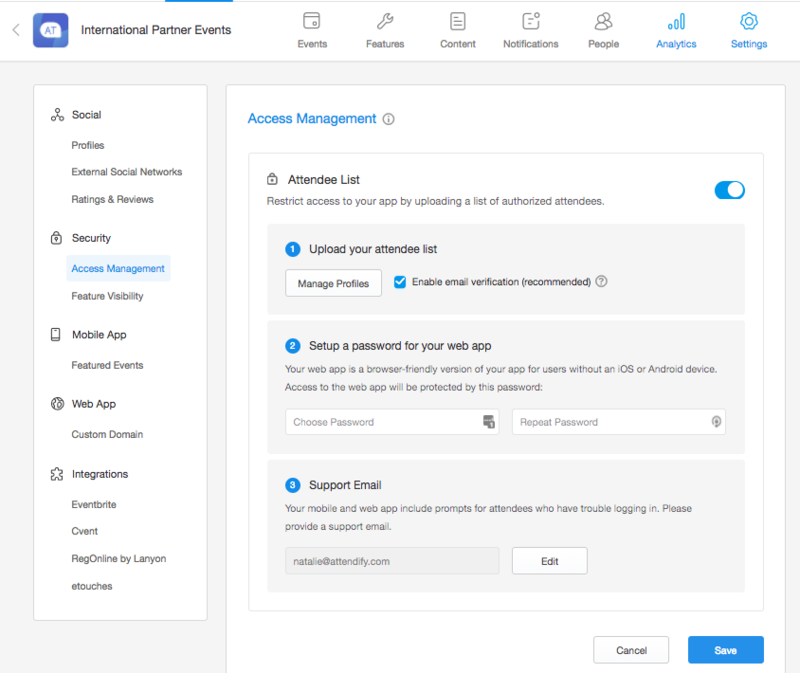 You can post your Polls either on the Activity Stream or within a specific Session, and you can schedule them to appear at a specific time during your event or to go live immediately. 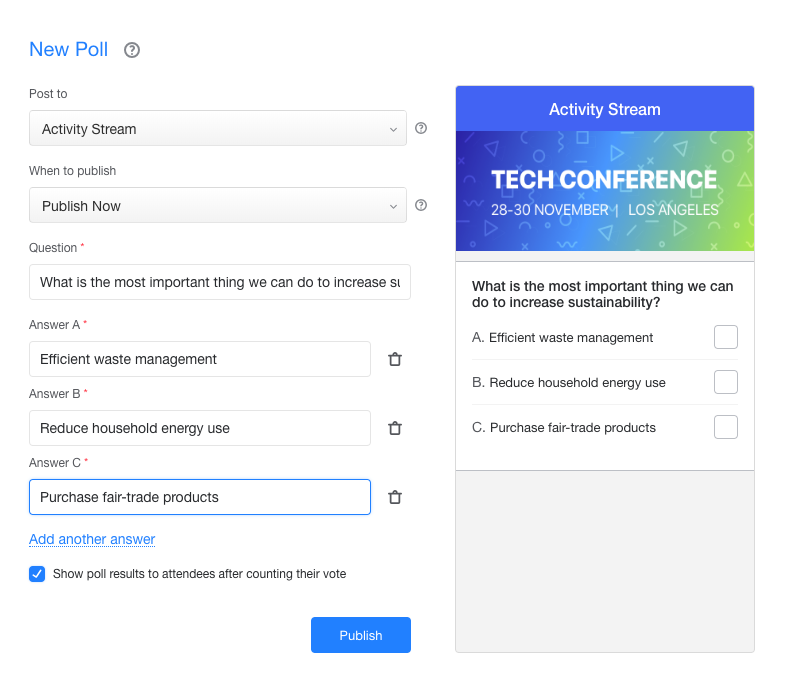 Adding a Poll to your Activity Stream is an easy way to get a pulse on how your general audience feels about a certain topic. To do this, hover over the Social tab and click Polls, then the blue + Poll button. Note Polls cannot be added until after the event has been published. Offering your Speakers the ability to ask their audience a question is an effective way to keep the group engaged in the session - and with the app! 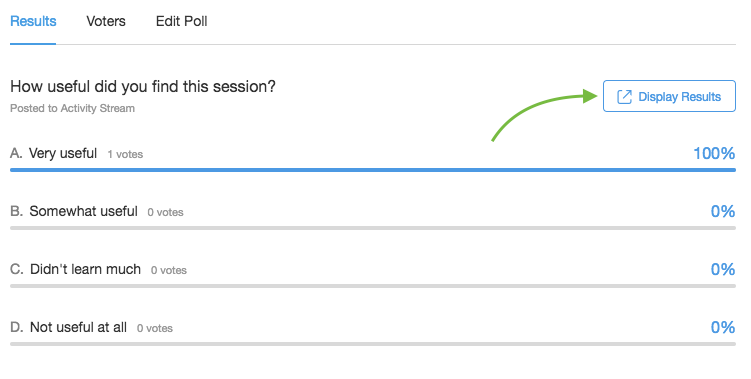 To do this, simply follow the steps above but choose Session in the Post to pull-down menu then select the session(s) you want to add the Poll question to. 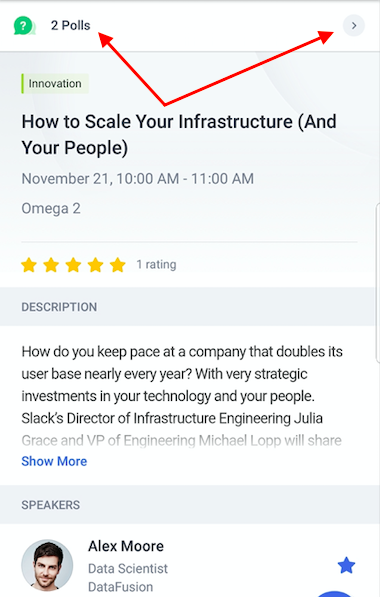 Your attendees can access the Poll once it is live from the top area of the Session's listing in your app. 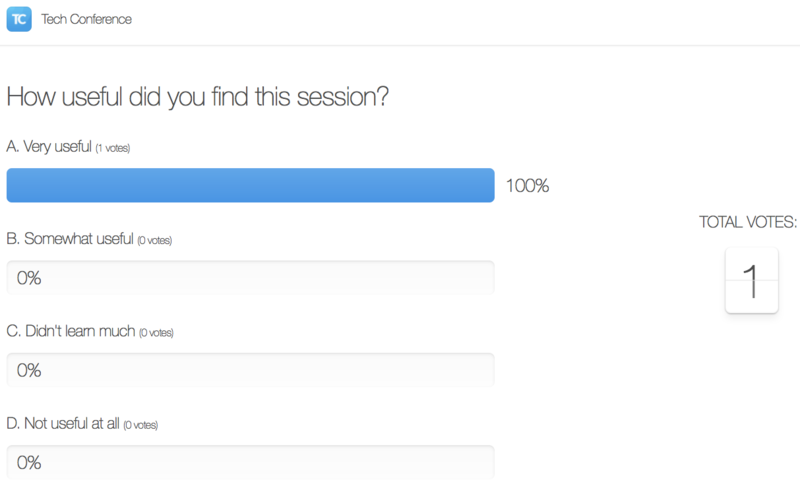 Each Poll has a live results page that is automatically generated. This page displays the votes in a web browser and updates in real-time. You can grab the URL of this page and display your Poll on a TV or projector. To get to this page click into the Poll on your dashboard then the Display Results button in the Results tab in the pop-up. Our Customer Success Managers have seen Polls used in many unique ways in order to facilitate certain outcomes, so please get in touch with us if you'd like to dive deep on this topic!